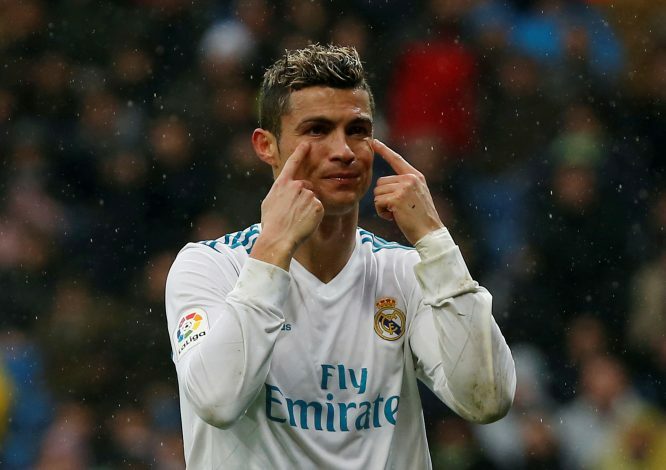 Real Madrid have stunned the supporters, much thanks to their talisman Cristiano Ronaldo, who occurs to have netted his 100th Champions League goal, securing the first leg of a substantial Champions League fixture against Paris Saint-Germain in the process. In spite of the initial efforts of Adrien Rabiot to silence the home support by scoring the opener, it was only a matter of minutes before the crowd bounced with delight. The 3-1 victory comprised of numerous notable moments, however, one laborious effort from a fan stood out. The first goal for the Galacticos came off a penalty awarded moments prior to the half-time whistle. As the Portuguese star prepared to equalise before either teams started heading to the tunnel, he had a laser shone in his eyes whilst stepping in to take the penalty, as evidently, a fan resolved to make a mess of the superstar’s moment. Nevertheless, the 33-year-old found no trouble in netting the penalty, as the ball hurtled past the posts into the bottom left corner. Furthermore, the goal felt extra special to the Portuguese legend, as it brought up a century of goals in Europe for the Bernabeu outfit. Plus, by marking so, the profound figure became the first player to score 100 times in the Champions League for the same club, a feat polished by the fact that it was just his 95th appearance in the competition for Los Blancos.